Through systematic study of diverse issues and methodology, majors develop disciplined thinking and problem-analysis skills. They are well prepared for graduate study as well as for careers in business and law professions. 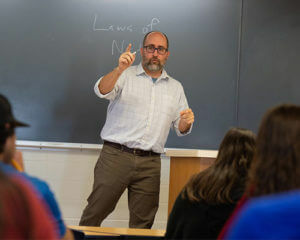 The Philosophy minor introduces students to critical reflections through selected courses in the history of philosophy, logic and philosophical topics. The minor supports students majoring in related subjects where knowledge of philosophical methods is beneficial. 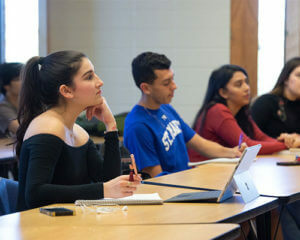 Philosophy majors often pursue a double major in a field of study that complements their interests, such as Business, Mathematics, Political Science or Theology. The major program introduces students to the systematic study of philosophy in a broad range of fields, problems and issues. The program is designed to prepare students for graduate and professional schools. It also provides a solid grounding in philosophical thinking and method for those preparing for careers where critical disciplined thinking and problem analysis is an asset. 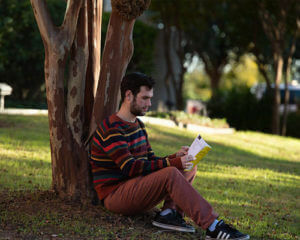 The department strongly encourages majors to consider “doubling” a philosophy major with another area of concentration. 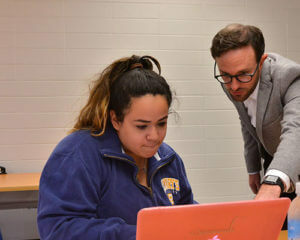 However, the student must carefully work out his or her program of studies for the double major with the philosophy major adviser.